From cool calm waters that meander toward a sudden precipice stand at the edge of a spiralling 45 foot waterfall and descend a seemingly impenetrable gorge. 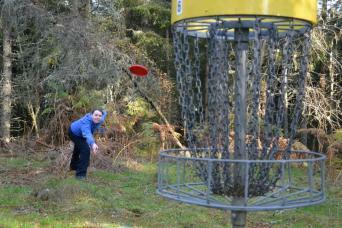 Once at the bottom we make our way down to the Findhorn River via water slides, dunks, short jumps, ducks and a little tree caving! 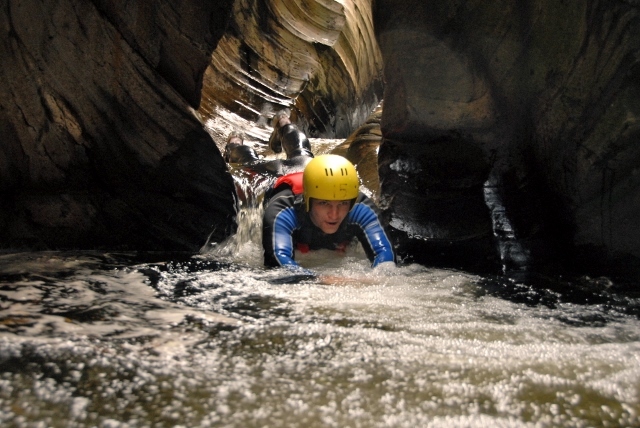 This is canyoning experience with dramatic scenery in a live landscape that provides a real sense of being in a wild place. Minimum advised age is 13 years. Footwear such as old trainers that will get wet and are suitable for walking on uneven ground. The Allt Aireimh canyon trip can be found in the parish Ardclach which was a small crofting hamlet found on the Eastern edge of the Highlands county. Ardclach translates from Gaelic as "High Stony Ground"
Allt Aireimh translates from Gaelic as "Burn of many". A delightful wee (small) burn (stream or brook) surrounded by magnificent stands of birch forest abundant with wildlife often affording glimpses of roe deer and countless bird species. The Allt Aireimh passes beneath a small bridge on the old military road that goes from the steadfast eighteenth century Dulsie Bridge through to Cawdor. The military road built by General Wade extended from Perth to Fort George. 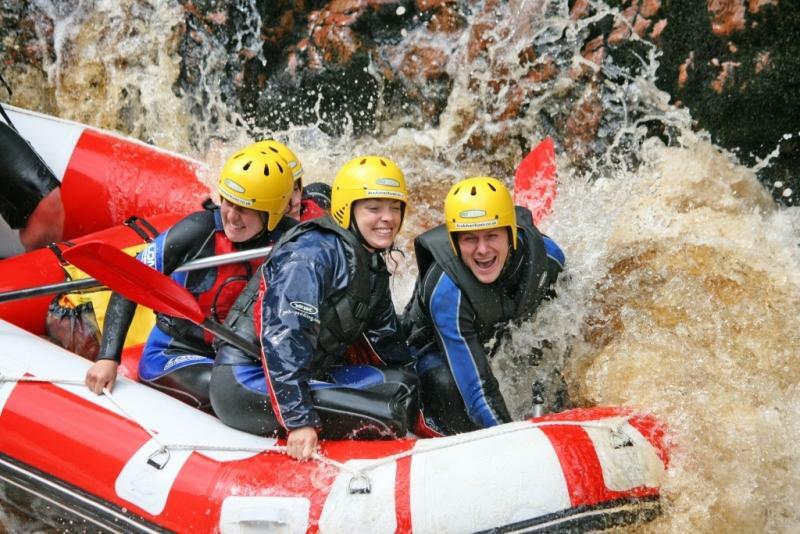 This is a fantastic introduction or medium level canyoning experience located on the western edge of the River Findhorn set amid Birch forest with a healthy blanket of Blaeberry ground cover. Blaeberry are wild scottish blueberries. While small in stature they pack a terrific taste sensation, not to mention considerable health benefits. Mid to late summer are the best times for these purple gems. 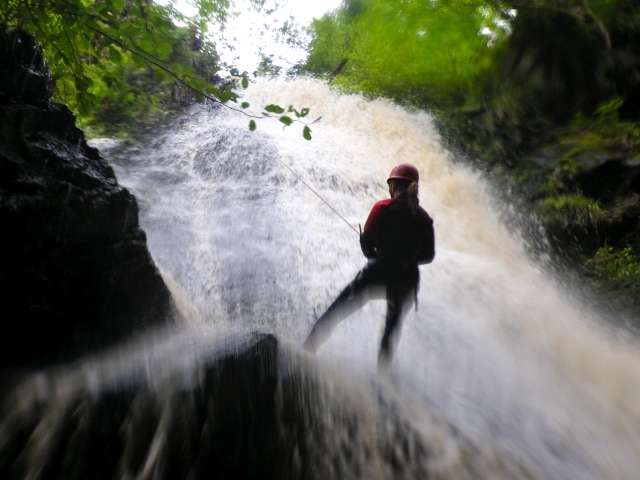 Having been kitted up at the ACE Base at Auchnagairn a short bus ride to the canyoning location and it's a gentle stroll down an innocent burn. After a couple of small water slides the horizon line of the burn vanishes and the senses detect a large void. Here the cool dark waters topple over the edge of a 45 foot corkscrew waterfall carved out of the gneiss and granite. Where the water goes, so must you, as one of our skilled guides reassuringly lowers you down the waterfall suspended by your harness and a static line. 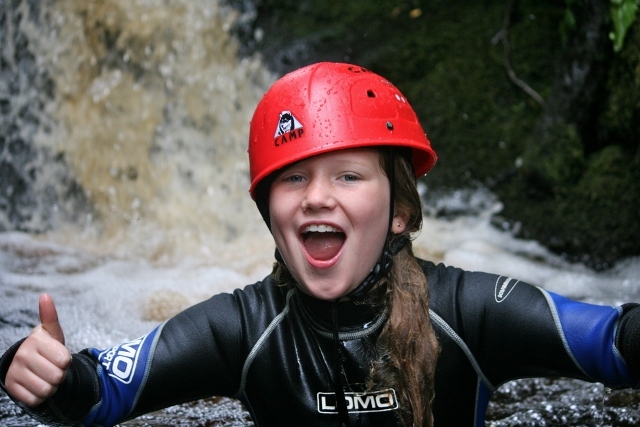 If you want you can abseil down the waterfall. Take time to enjoy the view of the canyon as it yawns to the right slicing through now mature Caledonian Pines. Breathtaking scenery and the space below invites either a traverse to the main flow of the waterfall or negotiating a blind overhang before your feet hit terra firma. Abseil check! Once everyone is down safe and sound you head down stream into a maze of tangled fallen trees interspersed with ledge drops and down climbs, each with a tannin dark pool beneath. The brave can squirm through a restricted tunnel along the stream bed and under an ancient log trapped in the gorge before entering the stepped section of the canyon trip. A dunking from a less than graceful slide into a toilet bowl shaped pool before yet another pool with a natural dammed wall to be scaled. 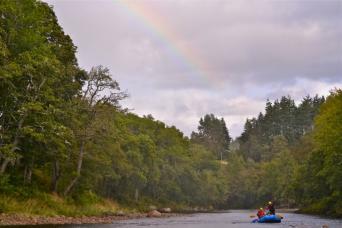 After some swimming, walking, climbing and jaw dropping awe later you will step out into one of the River Findhorn's most tranquil sections and bask in the glory of the Scottish sunshine. A short walk back along the rim of the canyon affords more dramatic scenery and an appreciation for what you have just negotiated. We take you back to the ACE base where you can be reunited your dry clothes in the changerooms. Photos of the day can be viewed in the reception while you enjoy some light refreshments and snacks. The original photos of your trips can be purchased.